This program is part of a series that features the lives and careers of some of the greatest figures in sports history. This episode, hosted by Paul Hornung, profiles the great basketball coach of the Boston Celtics, Red Auerbach. 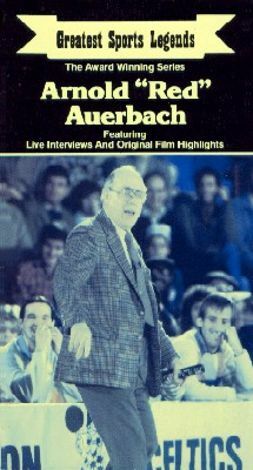 In his 16 seasons with the Celtics, Auerbach posted 1,037 victories before retiring in 1966, more wins than any other coach in basketball history. Auerbach was famous for lighting his victory cigar when the outcome of the game was certain. Archival film clips, photographs, and interviews with fellow players, coaches, fans, friends, and family tell the story of this sports legend.